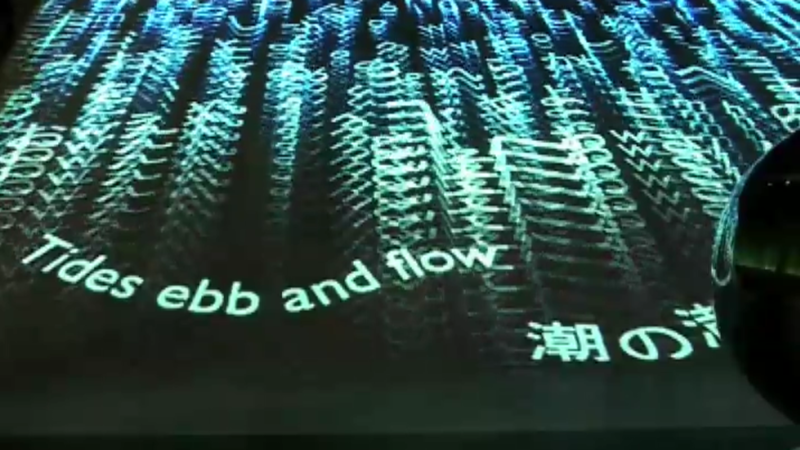 Users rotate a bespoke interface to create ‘waves’ of Japanese text characters. The faster the rotation, the stronger the waves. The waves deliver key messages – the movement of the moon creates waves on earth.